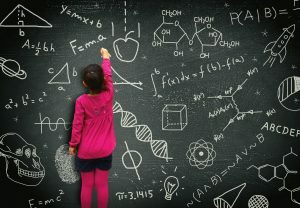 Over the years we’ve read a lot of research on why girls in particular lose interest in STEM subjects, dropping out of the pipeline at many points along the way to a career in science, technology, engineering or math. Little kids of either gender are naturally curious and excited to experiment with scientific concepts through fun, hands-on activities. As they get older, though, both genders lose interest. Maybe it’s that those subjects have become less exciting because the teaching is less exciting. Maybe it’s because the student realizes that their natural talents lie in other subjects, like writing, art or social sciences. Or maybe it’s because they are not encouraged in school or at home to explore their interests in a scientific field. Whatever the reason, girls lose interest at a higher rate than boys. I’m of a generation where the girls took home economics in middle school and the boys took shop. Back then, the gender roles were very clear. While that isn’t so today, girls are still subject to a gender bias when it comes to STEM. There are subtle and not-so-subtle influences that keep girls on track to study STEM throughout their education pathway and enter the workforce in a STEM field. In our previous blog, we talked about sparking interest and keeping the fire lit. For girls, this means finding (or creating) STEM education programs that follow girls from middle school all the way through high school and into college. No small undertaking, indeed, but it has the best chance of keeping female talent in the pipeline. This is where corporate citizenship comes in. Send your women scientists out to schools and universities to meet the next generation of STEM professionals. Let them be mentors and tutors. Maybe they can lead or advise STEM clubs at these schools, or invite students to workshops at their professional associations or employee resource groups. They could support a learning community at the local college for women students. There are all kinds of ways a company and its built-in role models can reach out and keep the fire burning in talented female students of all ages. Need help getting a program like this going? LBG Associates, a woman-owned company, is here to help! Contact us at linda@lbg-associates.com or 203-325-3154.